Vintage Classics offers a high quality Wedding Hire service and are currently taking bookings for the coming season. We offer a bespoke service designed to meet your individual requirements and add a little something to your perfect day! 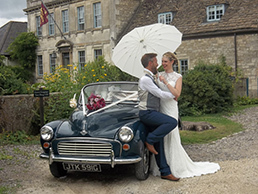 Grooms - why not hire a classic British sportscar for you and your Best Man to arrive in style? 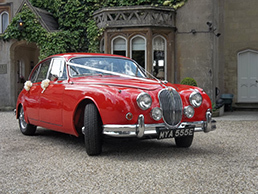 Getting married is such a special occasion why not say goodbye to bachelorhood from the driving seat of an E type Jaguar or Austin Healey 3000? Collect the car the day before and enjoy driving a fine classic car on your wedding day. You can always choose to keep the car a little longer, perhaps this is how you’ll want to whisk your blushing bride away on honeymoon? For your chauffeur requirements we are delighted to provide a chauffeured service which is limited to a 25 mile radius of our premises in Melksham Wiltshire subject to availability. Please visit our Wedding Hire page for further details. Why not hire a classic British sportscar for the most memorable trip touring the westcountry in style? Best Honeymoon EVER! Perhaps the west country is a special area for you both and would be the best choice for your honeymoon. Take the car of your dreams and make it just that little bit better! We can provide suggested routes and itineraries so you have all the information you could possibly need at your finger tips. 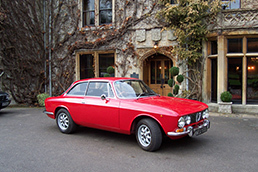 Why not view our Classic Car Breaks section and start making plans for a special break in the Westcountry. For further information please use our contact us form.